Aggression and hostility won’t get you far in relationships, personal or professional. Attitude problems can be serious and may require immediate attention, at times professional, to fix before you do irreparable damage. The tendency is more in juveniles and if not controlled early on, can cause greater damage. 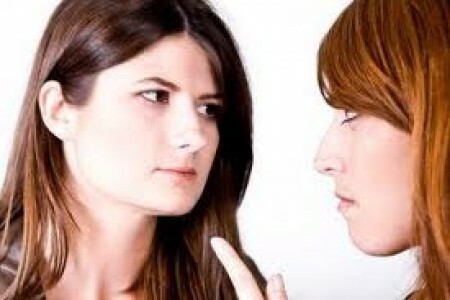 Take a break or avoid getting into heated arguments; this is the best way to manage your aggressive behaviour. You can go out for a walk or leave the matter as it is before discussing it when things get calmer. Moreover, with the pressure mounting, in work, studies etc, people hardly get time for rest. It essentially leads to frustration and anger, which you need to avoid by resting your mind. Give yourself room to think. Though it may not work in heated situations, but essentially make it a habit to go through the pros and cons of your actions. Whether an action of yours will cause more harm than good? Don’t be unreasonable as at the end it will be you who will suffer the most. Listen to others. More often than not, you act quickly rather than waiting to hear what others have to say. It is important that you manage your own hostility. Maybe the need to take revenge, get even or strike back may blind fold you but make sure that you resist all temptations and handle the situation as an adult. One possible way to reduce hostility or curbing your anger is to exercise regularly. Physical exertion decreases the amount of stress and further neutralizes your mood swings. It enables you to maintain your focus and concentration. Breathing, yoga, and meditation are also essential techniques which help you relax. Focus on positive actions. Tell yourself that the only way to solve a problem is to work on a solution rather letting anger come between you and your work. Your main aim is be tough mentally. This way you will find constructive methods to deal with problems. Show empathy for others. You will find certain circumstances where you were at fault but the other party forgave you. Always remember such incidents when the ball is in your court.